Oklahoma City Private Investigations is home to the best private investigation services you can find anywhere – not just in Oklahoma. Our highly skilled team takes pride in their ability to provide you with the truth in not only a timely and efficient manner, but with the perfect blend of kindness and professionalism. In addition to finding the answers to your questions, they find answers to the questions you did not even know you had. So take a chance . . . take a chance on our phenomenal services, and you will be rewarded with the answers you have been looking for. Take a chance on our Oklahoma team of private detectives, and you will be rewarded with a successful investigation. And finally, take a chance on yourself, and you will be rewarded with the peace of mind you truly deserve. Our highly trained and specialized team of Oklahoma private investigators are very knowledgeable and will happily work with you to help determine the costs, potential outcomes, and how best to help you meet your needs. Each Oklahoma private investigator has a unique and varied educational and professional experience. Please stop by 3201 N.E.119th St. Oklahoma City, Oklahoma 73131 or call (405) 403-0106 to speak with an Oklahoma City private investigator today. Whether your concerns lie in potential insurance fraud or things like workman compensation fraud, our Oklahoma team of private investigators can help. If you are the victim of a deception involving someone else’s unlawful gain of something that belongs to you – money, personal belongings, whatever – do not waste another second in getting those things back. Let us help you obtain what is rightfully and legally yours. Some of us know very well that missing person and custody cases can often involve the same people: parents and children. Oklahoma City Private Investigation’s team of private investigators can help you in either of the aforementioned things – or both. With the necessary skills to find missing people and the necessary resources to battle effectively in custody disputes, we urge you to be quick in your decision to let us help you successfully reach your objective . . . whatever it may be. If your need involves a criminal investigation, our team of Oklahoma private detectives can help you find the information you need to conduct a successful investigation. In addition, our team can also provide you with cold, hard, hands-on experience from past professional private investigations – investigations that include crimes involving arson, drugs, and even suspected homicide. Maybe you are paranoid? If your concern lies with a potentially cheating spouse or perhaps a family member that is acting sketchy, our skilled team of Oklahoma private investigators can help you with that too. We do not judge. Honestly, who has not been there? If you take a chance and trust on us, we will return the favor by showing you that sometimes, putting your trust in someone will not backfire. In this day and age, one of the best skills you can have is information gathering. That combined with social engineering is the perfect platform to a successful private investigation. Luckily, our Oklahoma private investigators have ample experience in both of those things. This means, if information is what you are looking for, our OKC team knows how to get it for you. With our fail-safe methods, our Oklahoma City private investigators look forward to the opportunity to help you with whatever you may need. Oklahoma City Private Investigation’s first goal is to get to know you. Our OKC team will find out what you need, what your case involves, and all of the important details that can make or break a successful investigation. After thoroughly examining the specifics of your case, we then match you with the OKC private detective whose techniques and experience will benefit your individual needs the most. Our primary concern is your success. During your Oklahoma private detective’s investigation, they will provide you with relevant contact information and guidelines. You will be able to reach out to your OKC private detective with any questions or information. In addition, your Oklahoma private detective will also keep you updated with any news on their end of the spectrum. We encourage you to exercise your right to ask questions. Even more, we encourage you to trust us. 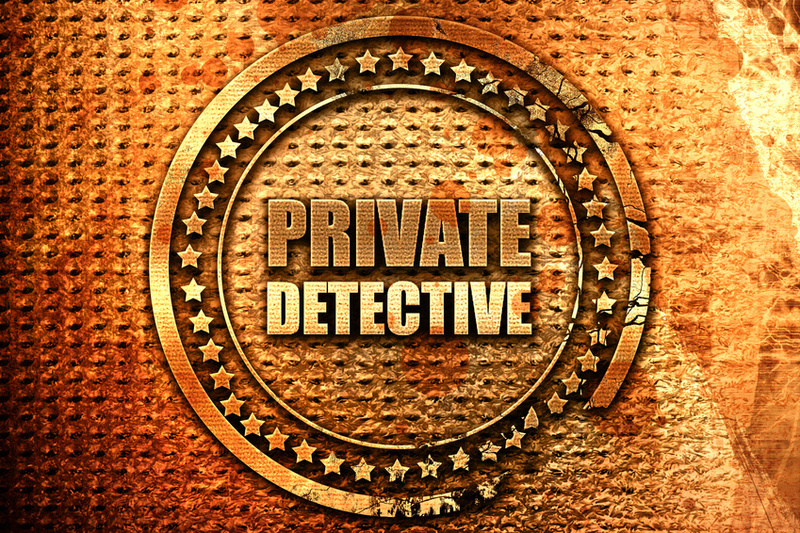 If something is bothering you during the investigation – or if you just need to talk – do not be afraid to confide in your Oklahoma private detective. After your Oklahoma private investigator successfully completes their private investigation, you can rest easy knowing the next step is finally achievable. While all loose ends are being tied, take a chance to sit back and catch your breath. Whatever the outcome of the investigation is, your OKC private detective is there to help you through it. You deserve to move past this obstacle in your life, and it is our mission to help you accomplish that closure. GAIN: the TRUTH that you DESERVE. GROW: with your chance at CLOSURE. If you or someone you know is in need of an Oklahoma private investigator, please contact us right away at (405) 403-0106 today! Our Oklahoma private investigators will be happy to assist you with all of your private investigation needs anywhere in Oklahoma, Arkansas, Kansas, Nebraska, Texas, Colorado, Missouri and Louisiana! Our Oklahoma City private investigators often perform a wide variety of investigations. Insurance fraud occurs when any act is committed with the intent to fraudulently obtain some benefit or advantage to which they are not otherwise entitled or someone knowingly denies some benefit that is due and to which someone is entitled. Our Oklahoma private investigators are experienced in locating missing persons. Our investigation team is dedicated to your privacy and delivering results. Our investigation team is trained in counter intelligence and our private investigator’s methods are that of true professionals. Workers compensation fraud typically occurs when a claimant, employer, or health care provider knowingly lies in an attempt to manipulate the system in order to gain an advantage, savings, money, or other benefits. Child Custody Investigations are undertaken to determine if a parent or guardian is responsibly caring for your child, ensuring the child’s safety and protecting them from a dangerous environment or dangerous persons. Arson investigations are typically conducted to determine the cause of a fire to ensure the responsible party is held accountable. Our OKlahoma private investigators will often testify in court as an expert witness regarding their techniques that they utilized in gathering evidence. Our Oklahoma private investigator specializes in infidelity and will gather information about a subject’s activities and interactions. You are much more likely to get evidence of a cheating spouse when you hire a private investigator who is skilled at performing the surveillance services you require. Skip Tracing is the process of collecting multiple as much information as possible and then cross-referencing, analyzing, reducing and verifying it. Our OKlahoma private investigator team offers a highly specialized Skip Tracing and Asset Discovery service.